This past spring a friend of mine turned me on to the Summer Sampler quit-a-long. 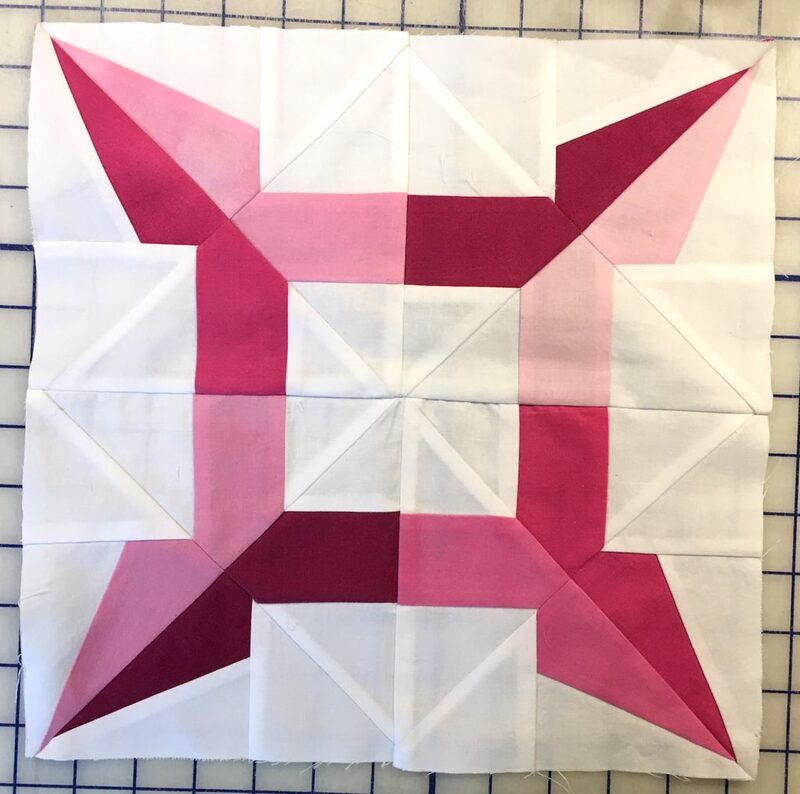 They release 1 block pattern a week through the summer – and into the fall really – and then setting and placement instructions at the end. 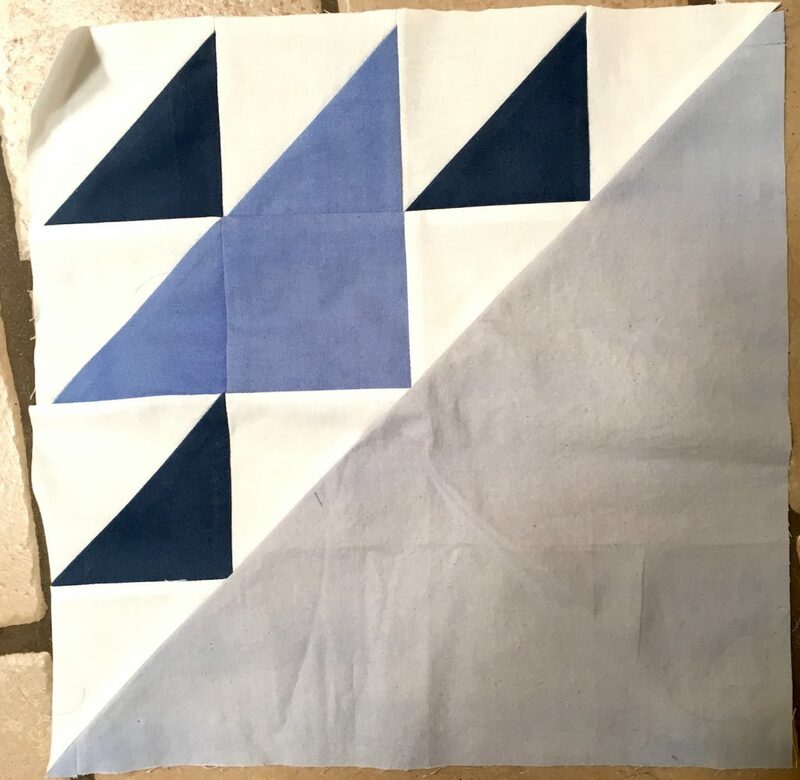 The pattern can be purchased from Freshly Pieced at her shop here. 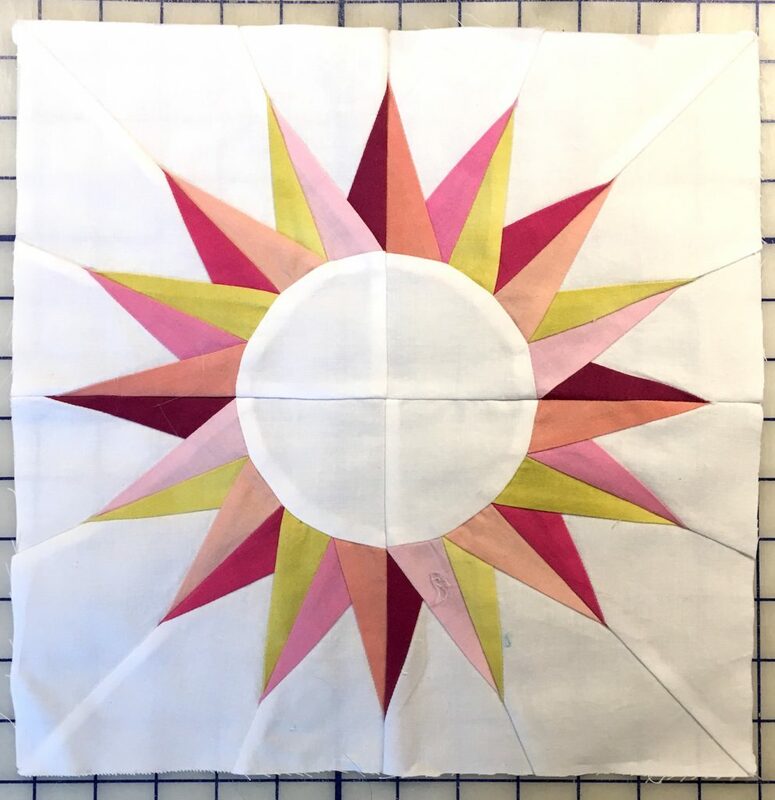 They also partnered with Sewtopia to offer quilt kits for the sampler in three options – warm, cool and rainbow. 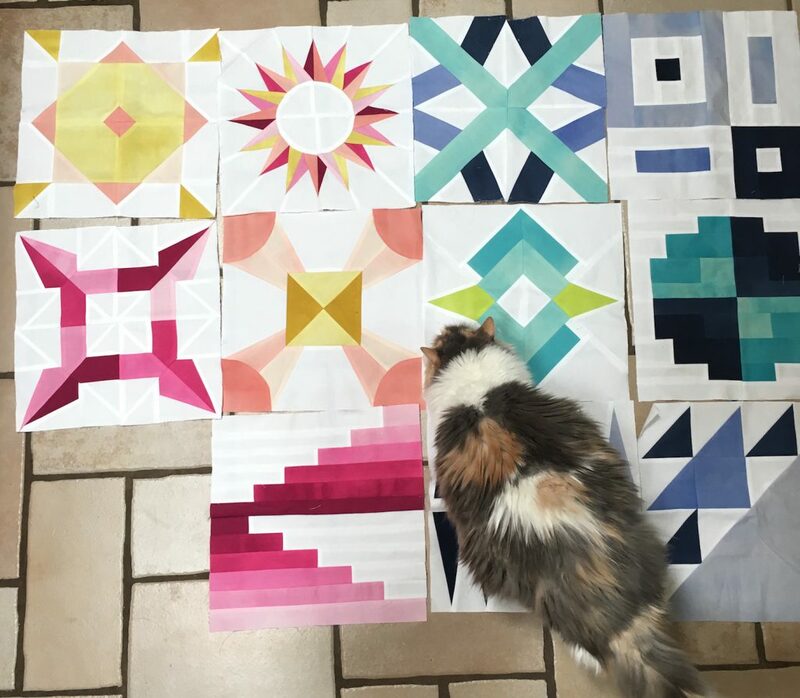 One of my goals this year was to do more designing and make my own quilts, and a quilt-a-long didn’t really fit with those plans. 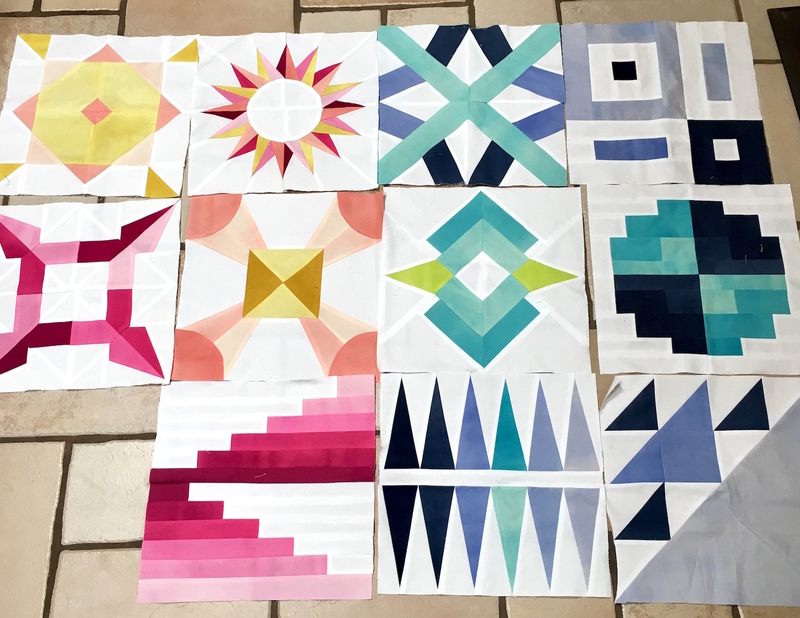 But I really liked the pattern, have always wanted to do a gradated rainbow quilt, and honestly have been working so much that just following along and sewing something for fun seemed like a great thing to do. I signed up for the weekly patterns and bought a kit. 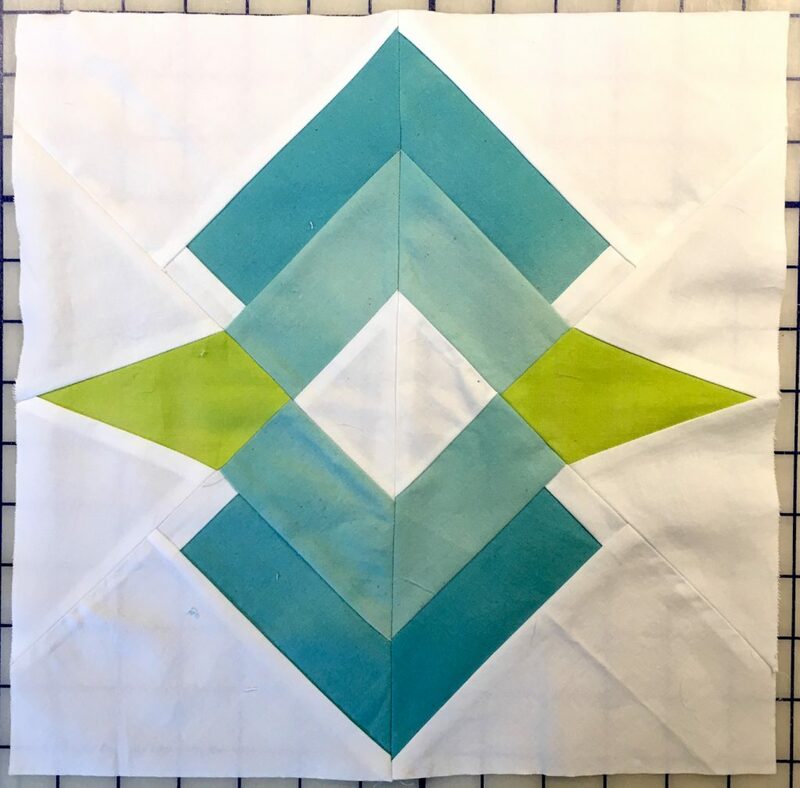 The quilt kit from Sewtopia was interesting. 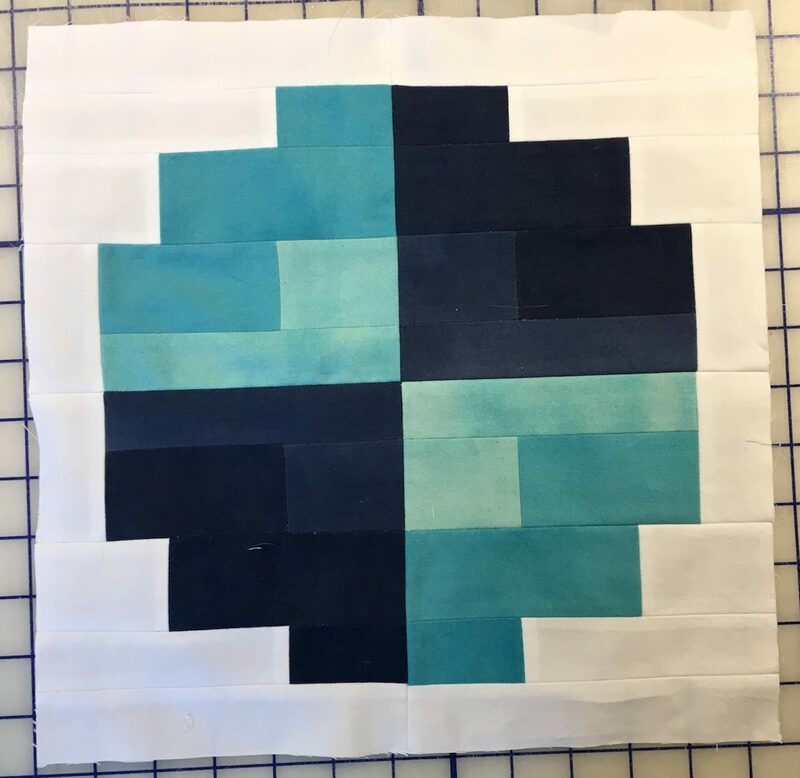 There are Kona solids for the setting blocks and a full set of Cotton + Steel Pigment Basics, which are dyed in a color gradation from dark to light across the width of the fabric. I really like the saturated side of the fabric better than the lighter side, but the gradation across the fabric really does give a wider range of colors to choose from. The block themes are terrific. They are all inspired by travel destinations that the designers have visited. 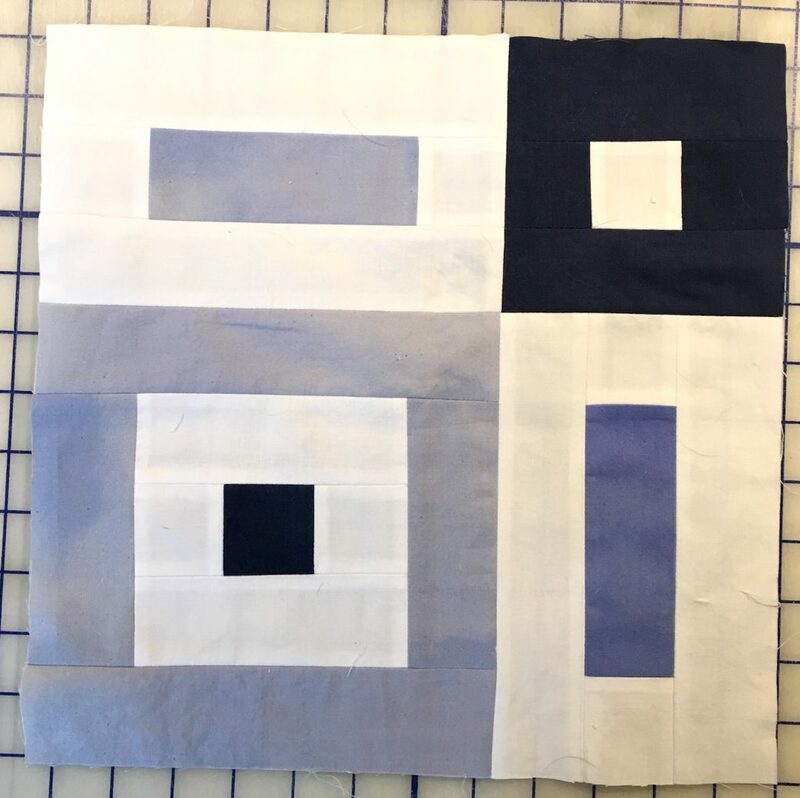 I’ve enjoyed seeing the blocks paired with a photo of the location that inspired the design. I didn’t get started with the blocks on time. Honestly I was a bit nervous about cutting into the kit pieces. By the time I got started they were already on block 6 or 7. 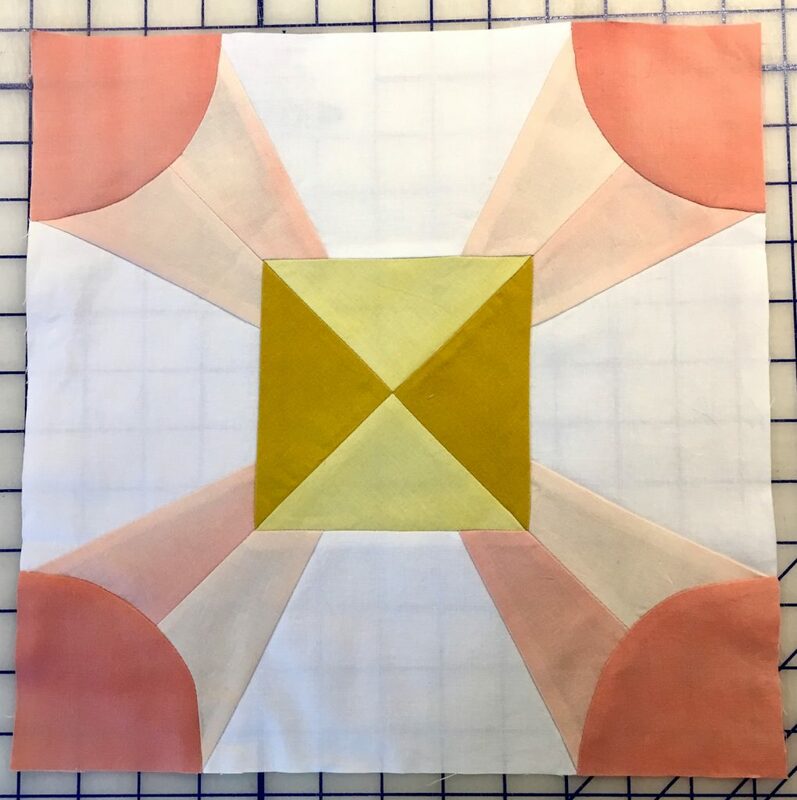 Block 5 – Points – This one is my favorite! 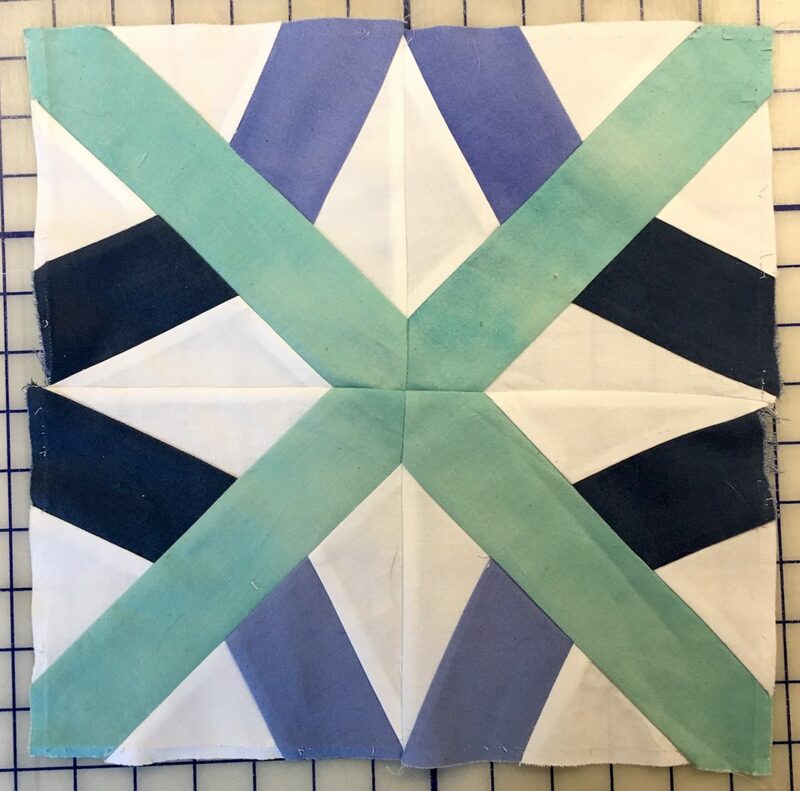 I wound up having a few days that I could set aside for catching up and I got to work on a bunch of blocks at the same time. 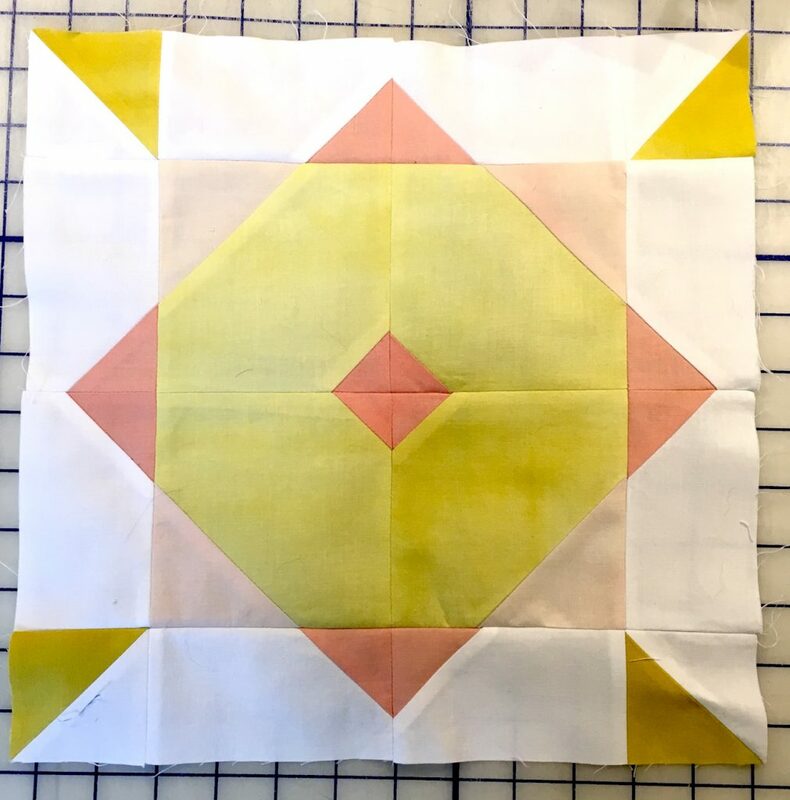 The patterns have been very good with a mix of traditional construction and paper piecing. Some are intricate and do take time to complete. I’ve gotten ahead of myself a few times and really mad a mess. I think I took Block 7 apart about 4 times before finally finishing it. Honestly though that had more to do with me not reading carefully than any problem with the pattern. And with that I’m all caught up – until Monday comes. 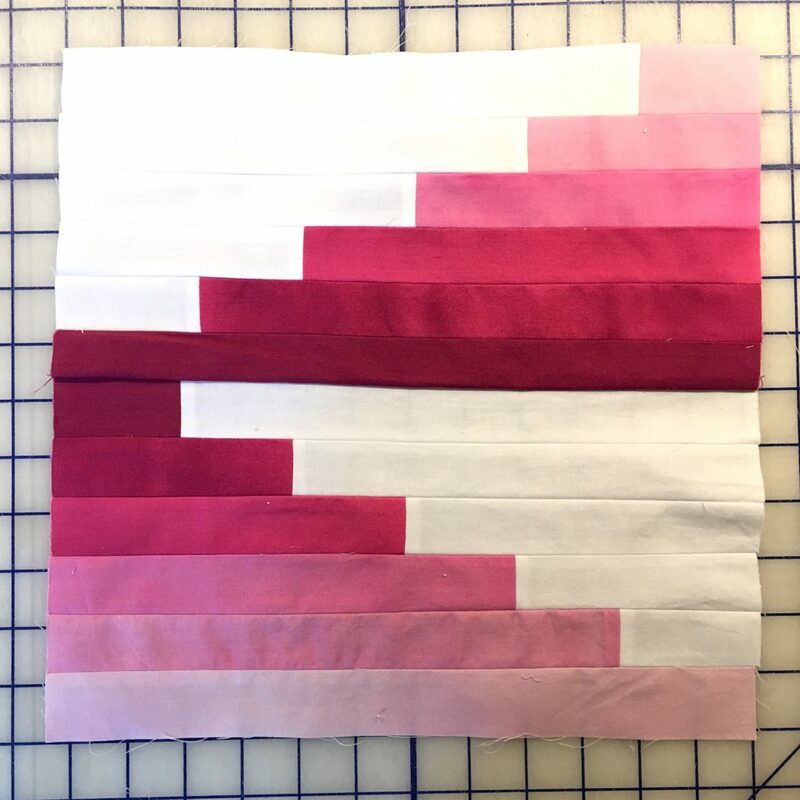 I have to admit I’m following along pretty closely with the color placement originally suggested in the rainbow version of the quilt. I’m happy with how it is turning out and it is giving me a good project to just go execute and use for stress relief! I have been really impressed by some of the other versions I’ve seen on Instagram. The use of fabrics and colors are really amazing. 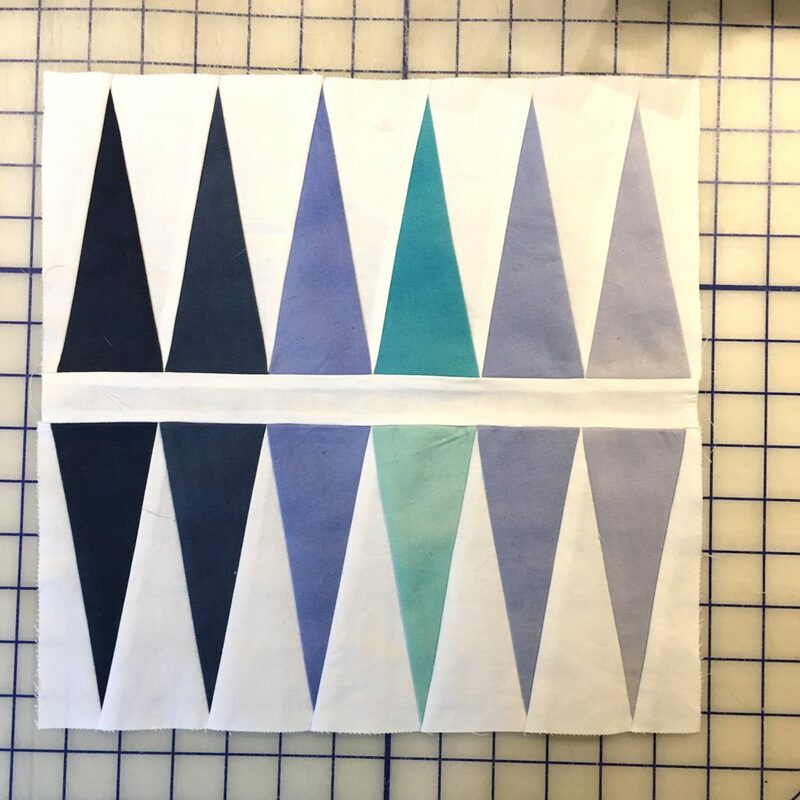 These from khquilts are so awesome – the navy background! – this Points block from zaraquilts is great, and these prints from crlhansen are really interesting. ..and an outtake with a photobomb from my cat Saffy. She likes to help. I’m looking forward to finishing all the blocks up and getting this guy together.